We’ve seen the Mazda 767B before and admired the sound it makes. Today, let’s admire two images of this race car created and captured by racing friends of StartingGrid, John Kimball and Alan Dahl. 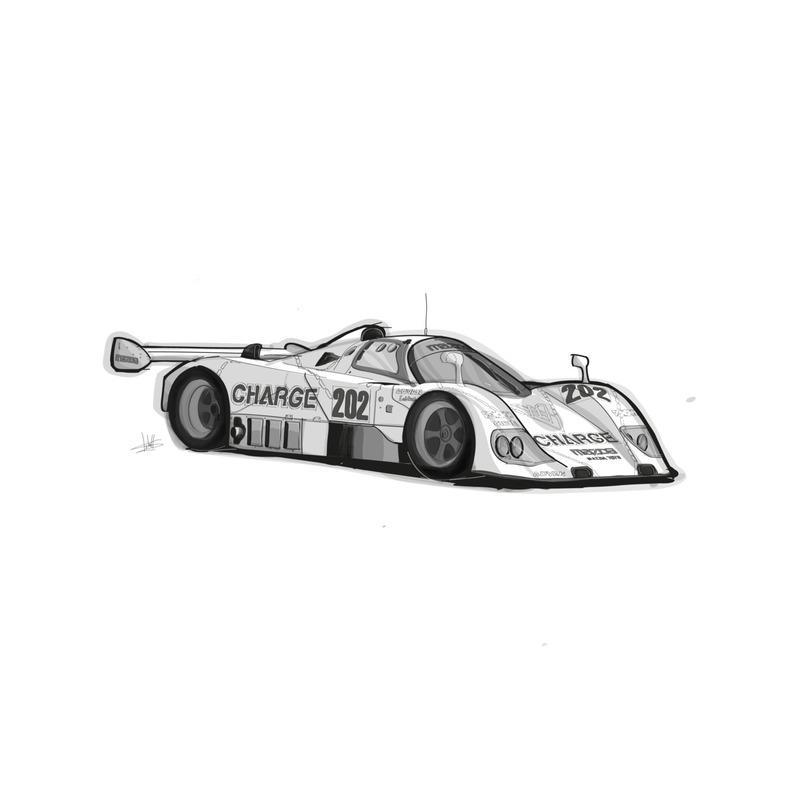 First up is John’s drawing of the 767B. Go here for more of John’s artwork. You may have seen John’s hauntingly moving image of Steve Jobs. Thanks John for letting us use your image. 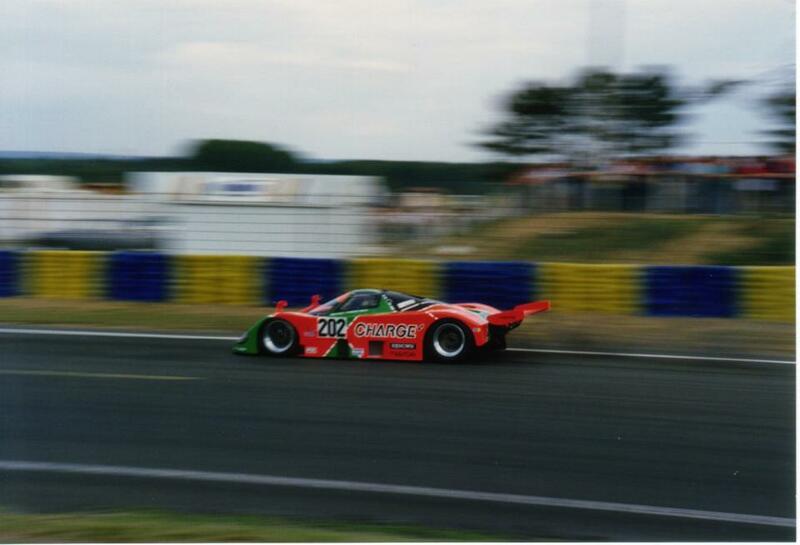 Next we have the same car captured on film at LeMans in 1989 by Alan Dahl. Thanks Alan for letting us use your photo. Before seeing John’s image, I had never admired the elegant shape of the 767B. Yes it has a wonderful voice and a striking paint scheme, but it’s also a handsome car. This entry was posted in Motorsport Media, Photography I like and tagged Alan Dahl, Fine Art Friday, John Kimball, Le Mans, LeMons drivers a multi-talented individuals., Mazda 767B. Bookmark the permalink. If by “wonderful voice” you mean it sounded like 3 million screaming bumblebees in a can, then yes :-). When all three 767’s were circling the track together the noise hurt with earplugs in!